As we continue our Christmas countdown of our 25 favourite objects from the Project Reveal inventory, we’ll pick up where we left off: with the team in the West. 15) Brian: For me, Christmas 2017 will always be the Weaver’s Cottage. 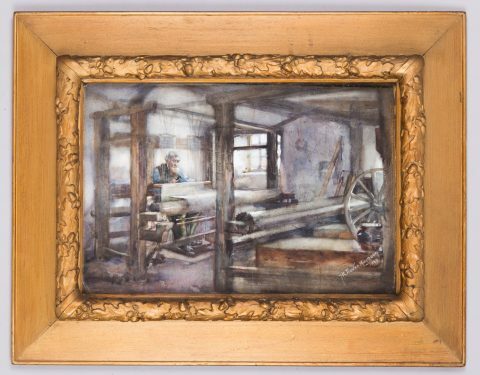 This watercolour (dated 1899) by Hannah Clarke Preston MacGoun, a painter and children’s book illustrator from Edinburgh, is a perfect reminder. The weaver even bears a striking resemblance to Santa. 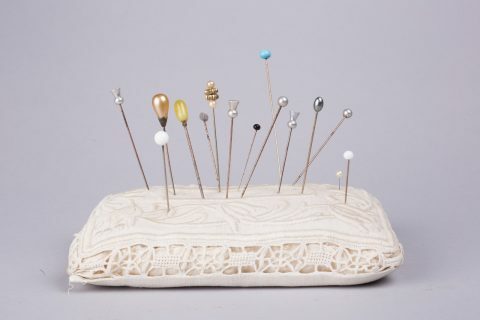 16) Demi: The hat pins at Weaver’s Cottage are my favourite objects because they are so small but very decorative and ornate. I also like that women used them to defend themselves from unwanted attention! 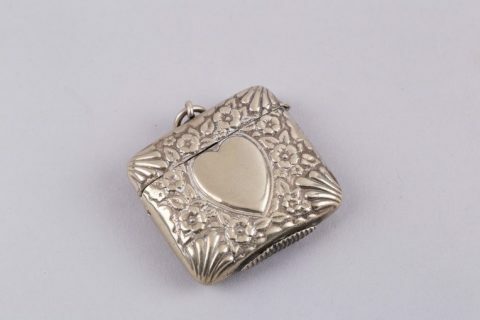 17) Silvia: I love this Victorian silver matchbox from Weaver’s Cottage because it is both glamorous and useful; I like to imagine it in someone’s pocket, ready to shine. Keeping the West guys on track, the resident Project Reveal team tea drinker is Sarah, who has aptly chosen this traditional wedding gift. 18) Sarah: These teapots are a particular favourite of mine from Weaver’s Cottage. 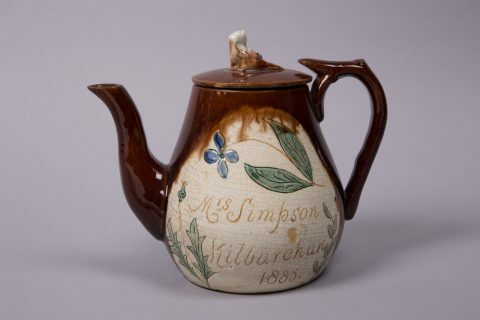 When a woman from Kilbarchan married a local man, she was presented with a teapot with her name and marriage year on it. Last, but by no means least, we come to the team based in the South West, who continue to work at Culzean Castle and Broughton House. 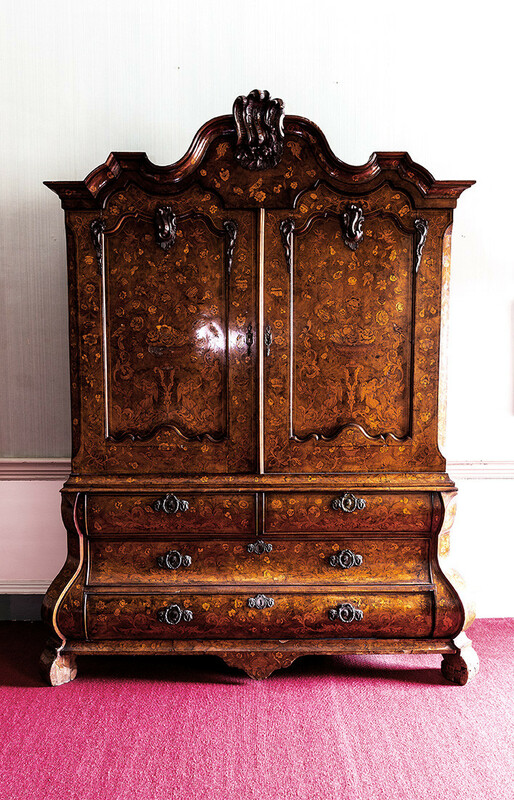 19) Billy: The Douglas Heart Cabinet in Lady Ailsa’s Wardrobe Room is my favourite piece of furniture. 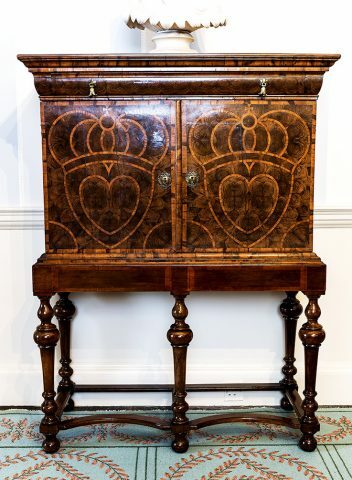 It is believed that this cabinet pre-dates the Robert Adam remodelling of Culzean and was in the original tower house used by the Kennedys from the 1500s. 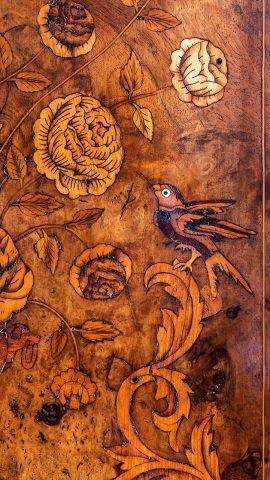 20) Alice: My favourite object is the mid-18th-century Dutch armoire in Lady Ailsa’s Dressing Room at Culzean because of its beautiful marquetry work. In particular, I love the little birds with their glass eyes and black pupils that look at the visitors. 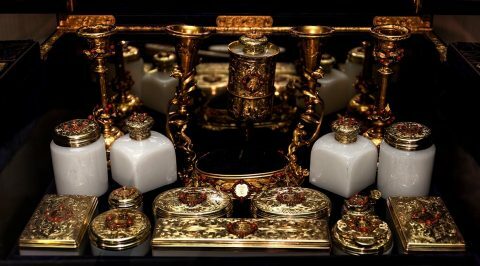 21) Rachel: The dressing case in Lady Evelyn Kennedy’s room has 61 items, and is my favourite object from Culzean. Each item reveals how a lady would take hours to get dressed, several times a day. 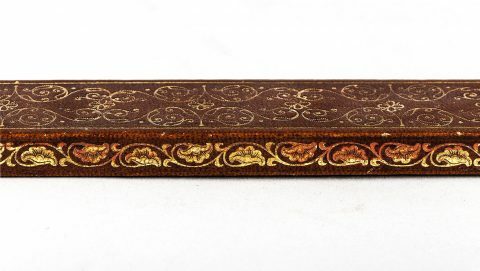 The case evokes an era of splendour in fashion unknown by us in the 21st century. 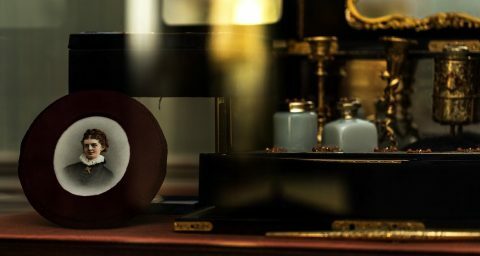 22) Alistair: My favourite objects are two wooden sticks, one in the Library and one in Lady Ailsa’s Boudoir, mainly for the mystery of their original purpose. 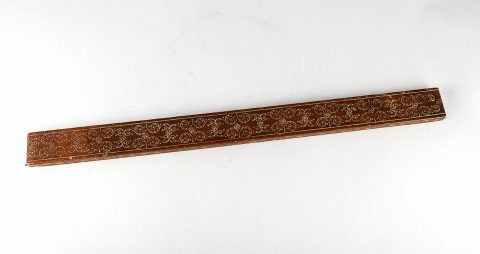 Navigating the team through the collections in the South West, John has picked an object which speaks of the Kennedy family history at Culzean Castle. 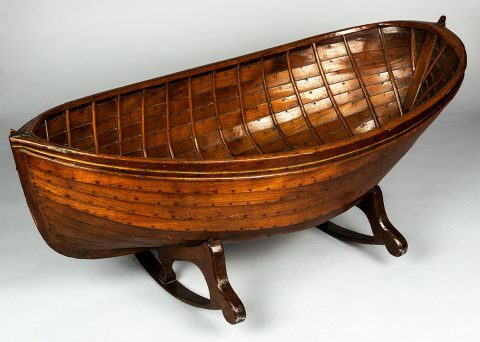 23) John: The boat-shaped wooden cradle in the Family Bedroom at Culzean has to be my favourite item. An appealing little object that marks the Kennedy family’s shipbuilding heritage, it also stands out as being built by my namesake John McKenzie. Having visited all the properties the Project Reveal teams have been working in, it was hard for Gabriella to pick just one object. 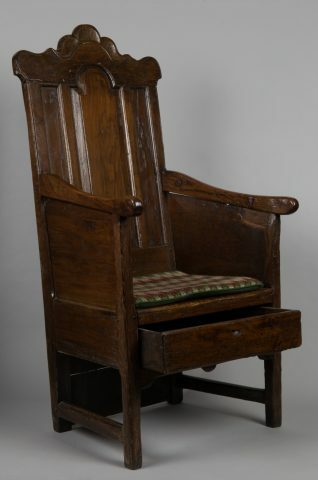 24) Gabriella: This oak armchair caught my eye when I was looking through the beautiful images our photographers have taken for our social media posts. The chair comes from Culross and I love the drawer space underneath to store items … or even extra little nibbles for when you’re watching TV over Christmas. The final word from Project Reveal before we break for Christmas has to come from Wendy. As Project Manager, her job is almost as complex as that of Father Christmas! 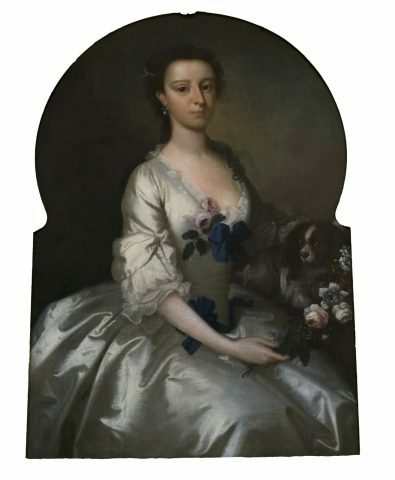 25) Wendy: This portrait of Elizabeth Fullerton of Carberry hangs in the Georgian House and is one of my favourites. I love the painting of the silk of her dress, which reminds me of my favourite childhood book – the Ladybird version of Cinderella – and the fact that she has her dog in the portrait too! We have uncovered some fascinating items in 2017. We will now take a short break to discover our own items under the Christmas tree, but we are excited to return in the new year – who knows what rediscoveries 2018 will bring from the Reveal team for the National Trust for Scotland? Project Reveal is a multi-site digitization project of unprecedented scale. With your support, we can help the Trust manage its collections more effectively. Most important, we can help the Trust discover, better understand, and share its treasures with the world. This article was originally published by the National Trust for Scotland on December 19, 2017.